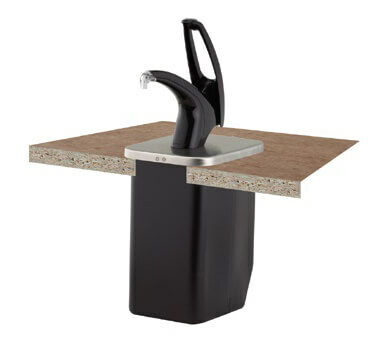 Perfect for self-service areas where portion control is critical! (3) 2-1/2 -quart jars are removable for easy cleaning and refilling! 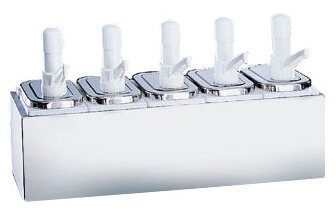 (5) 2-1/2 'quart jars are removable for easy cleaning and refilling! 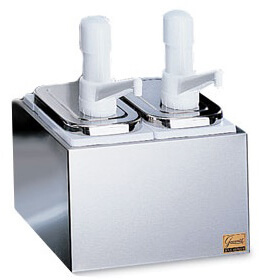 2-1/2 -quart jars are removable for easy cleaning and refilling! 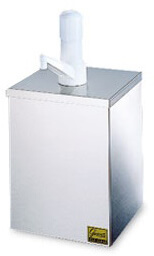 Multipurpose round aluminum to-go containers. 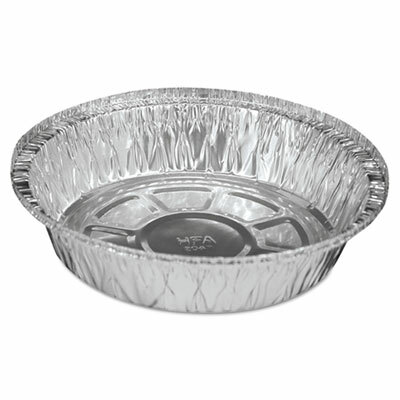 Suitable for cooking, serving and storing foods. 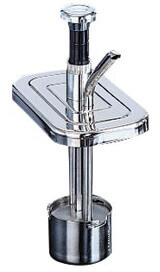 Easy-to-clean stainless steel syrup pump! 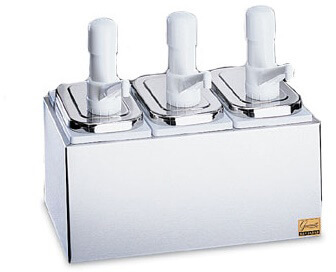 Adjustable for dispensing 1/4-ounce to 1-ounce portion sizes! 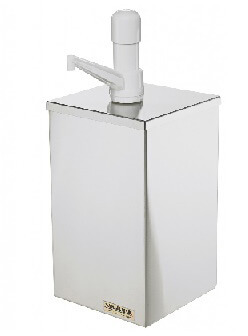 System includes (1 each): universal condiment dispenser with pump, tamper-resistant lid, liner, Cryovac bag adapter & plug, dip tube! Instructions included for cleaning-in-place and dismantling!